There’s just something about a ThinkPad. 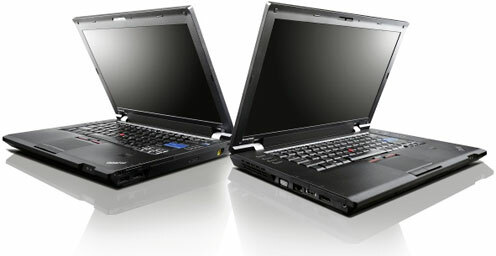 Whether it’s the solid build quality that gets you or the strange charm of that boring black case, the ThinkPad line manages to capture that feeling of portable, professional power like none other (well, unless you’re from our sister site, Low End Mac, where the PowerBook G3 Pismo reigns supreme). For several months now, I’ve been the proud owner of a ThinkPad T42 (technically an IBM, but bearing several stickers stating that it was manufactured for IBM by Lenovo) that I acquired for the exceptional price of $45. With my girlfriend’s high school graduation coming up, her parents bought her an iPad 2, and I, newly won over by my 15″ wundermachine, decided to pick her up a ThinkPad that fit her personality as nicely as the T-series fit mine. Enter a very sad-looking ThinkPad X41 tablet. For $38 (including shipping), I managed to find an ex-business ThinkPad X41 tablet. It was in pretty poor shape, missing its hard drive, latch, and pen, marred by white stickers, and sporting only 512 MB of RAM. It already had a charm about it though- it was delightfully petite and feminine-looking sitting next to my brawny T42. I managed to boot it from a 4 GB USB flash drive after a few tries, and Ubuntu Linux seemed to run decently on its 1.5 GHz Pentium M. It was no speed demon, though – between the limited RAM and the slow USB stick, it couldn’t even touch my T42 – or even my brother’s dinky Atom N270-equipped Hercules eCafé. For the next few days, it sat mostly unused while waiting for parts, except for the occasional benchmark, which hinted at its full potential. Over the next couple of weeks, the parts started arriving. In one huge batch came the battery, dock, AC adapter, and 1 GB RAM stick. Much to my disappointment, though, the dock and RAM ended up being duds – the dock was too tight to accommodate the aftermarket battery, and the RAM was defective. The battery and AC adapter, however, worked great. The battery (after an initial scare) gave a solid 5-hour battery life, and the AC adapter, while having the same connector as my T42’s, was smaller and daintier than the larger ThinkPad’s brick. Next came the latch, which finally allowed me to put the tablet into its novel “tablet mode” by twisting the display around backward and locking it in place. Without a Wacom pen, however, it was pretty much useless, since I couldn’t click anything, and the tablet buttons weren’t mapped yet in Ubuntu. Finally, after much waiting, came the 2 GB replacement RAM I ordered. The moment I put it in, the X41 seemed zippier – it flew through start up and didn’t even have to touch the swap space anymore (Ubuntu 12.04 is quite light, taking up about 150-200 MB while idling on both my ThinkPads, compared to 500-600 MB used by Windows Vista). Still, while the GUI was faster, loading apps and documents took just as long from the USB stick. That all changed the day the CompactFlash-IDE adapter (a generic no-name from eBay) arrived. It took only a couple minutes to get the adapter and a CompactFlash (CF) memory card in, and when it was all said and done, the ThinkPad started showing its true colors. I was surprised right off the bat to find that the CF, which had a stated maximum read rate of 30 MB/s, benchmarked with a minimum of 25 MB/s and a maximum of 46 MB/s, with an average around 35 MB/s. With that kind of speed, the 16 GB CF left my T42’s 120 GB 5400 rpm Hitachi Travelstar in the dust. Ubuntu shoots like a rocket, launching applications far faster (and quieter) than would be possible on my T42, even though the X41’s 1.5 GHz Pentium M benchmarks lower than my T42’s 200 MHz faster CPU. Right now, the X41 is in the midst of some good testing to iron out the kinks before I hand it over to my girlfriend, but those kinks have been few and far between. She (and her parents) have had a chance to see it and feel it, but none of them have yet experienced the speed the CF card gives it. Overall, I’m quite pleased with how it’s turned out. For another CF card project, check out my series of articles on Resurrecting a Clamshell iBook on Low End Mac.